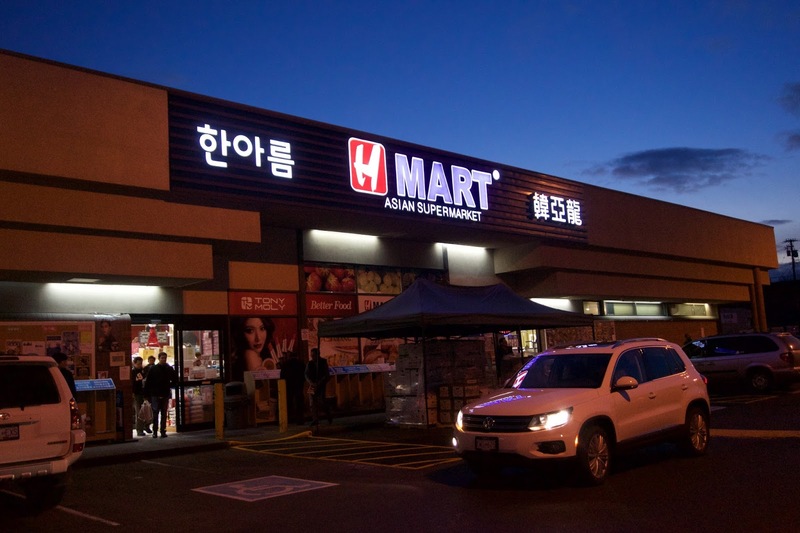 Vancity Noms: HMart - Snacks & Tteobkbooki! I woke up with a massive headache yesterday. Oh gawd it was awful. I think it had something to do with the fact that I slept at 5 am ~ Oh the joys of winter break. I was actually pretty impressed with the variety of food they had in the food court! 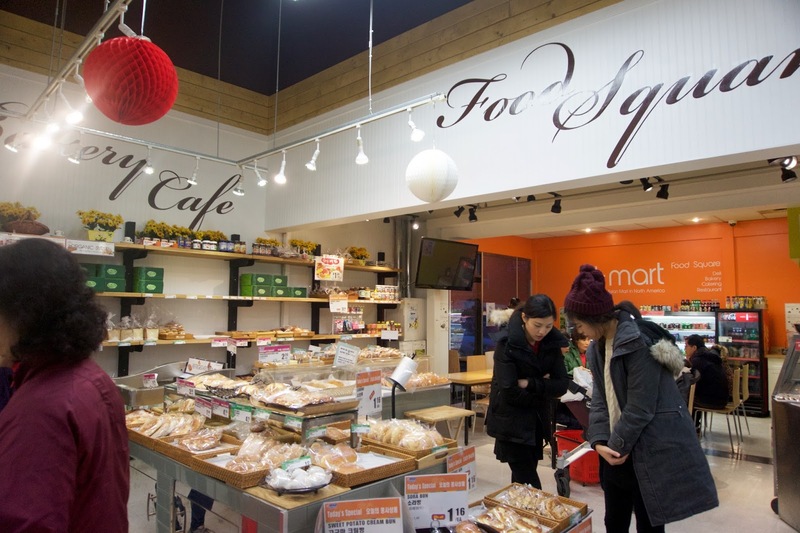 They had korean bento boxes, teeobkbooki, japchae, kimbap, and a bunch of made to order dishes!! My mom made teeokbokki for lunch today (with the ricecakes we bought at Hmart) and I'm eating it as I type this. I have to say, I'm impressed Mom. Tastes pretty legit!! Here's a picture of the teeobkbooki my mom made!! Not bad eh? This was pretty decent and made for a nice snack!! 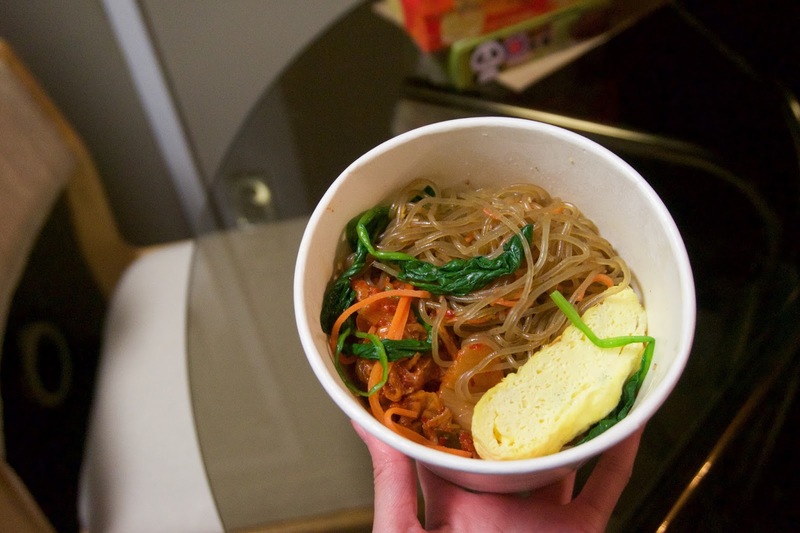 The japchae was nice and sweet, and there was lots of it!! 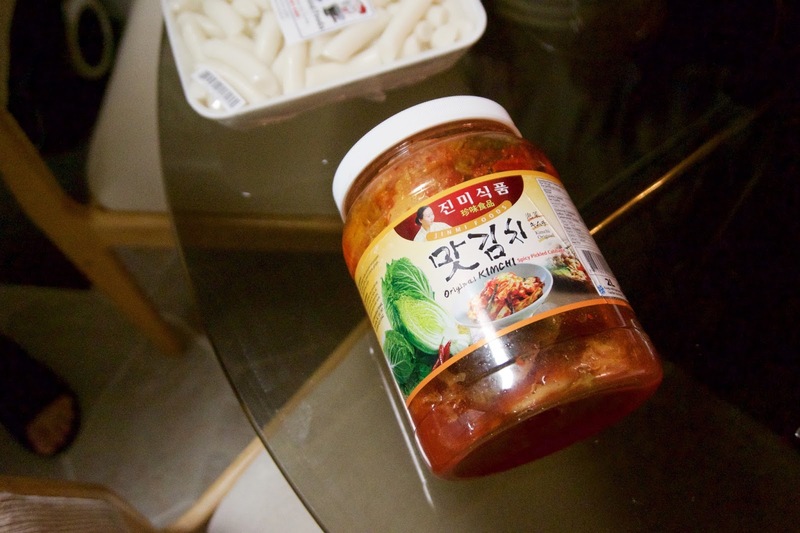 The kimchi was standard; it was really tangy and not too spicy!! The egg omelet resembled a piece of tamago; it was sweet and really fluffy! Yay for supporting local businesses! The ricecakes were super yummy! This was our second time buying this brand!! For $5, this was very generously sized. We literally had two plates worth of ricecakes!! 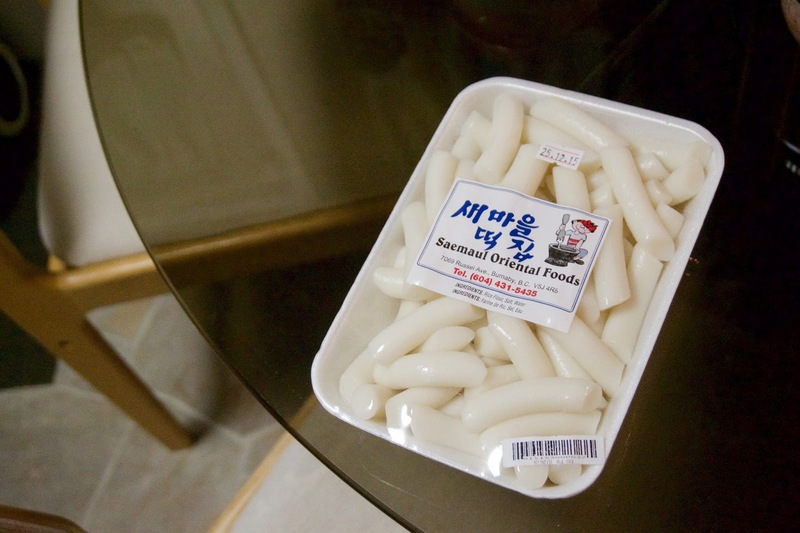 The rice cakes themselves are the perfect texture, glutinous and chewy!! PORK BELLYYYYY...need I say more?! First time trying this brand!! 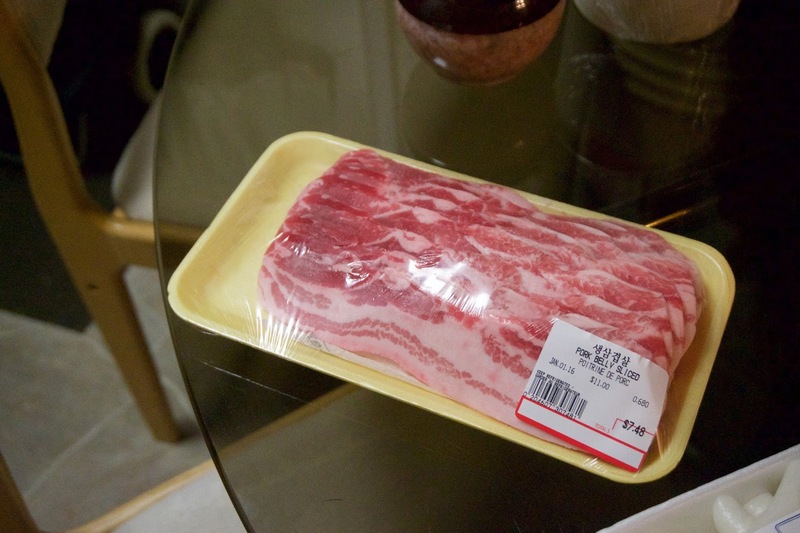 It's quite nice, but there's definitely better store bought kimchi out there. The kimchi itself is really tangy. I would've preferred if it was a notch spicier! My mom bought some salted shrimp to incorporate into her dishes!! We're not sure how we're going to use it yet, any ideas guys? I love MOCHI!!! So much. Loved, loved, loved this! Tasted very homemade, the sweet rice flavour really comes through and the redbean itself isn't too sweet!! I also love how simple the ingredients are (unlike the processed ingredients found in conventional store bought mochi!!) 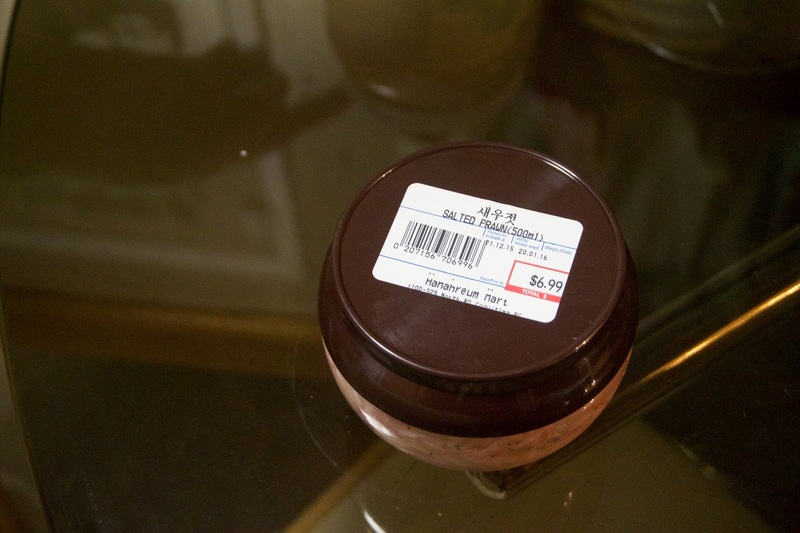 The ingredients are: sweet rice, water, salt, sugar, and red bean!! 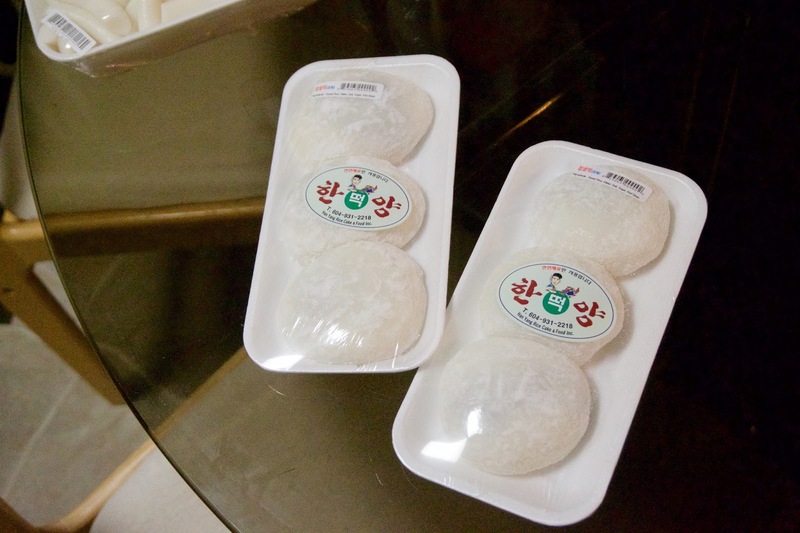 On another note, those Korean rice cakes look quite good, especially the ones your mom made. Your mom must be a talented cook! 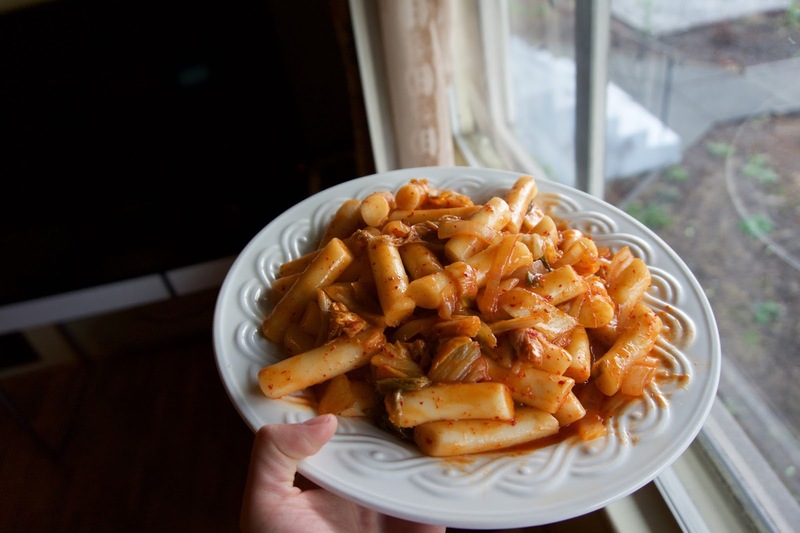 My mom recently did the Korean transformation too and started making pretty legit tteokbokki as well LOL! Glad I managed to make your mom's day! If my mom did a Japanese Transformation, my life would be complete LOL!